In the years of existence Leipzig has gone from a small town to a business and cultural hub through turmoil and grace. Leipzig goes back over 1000 years when it used to be the Saxon metropolis and its dynamism continues to this day. Leipzig is not only known for its beauty and regional influence but also as the cradle of German music, commerce and heroes. Economically, Leipzig suffered an enormous downfall during the Second World War especially after the Berlin Wall fell. 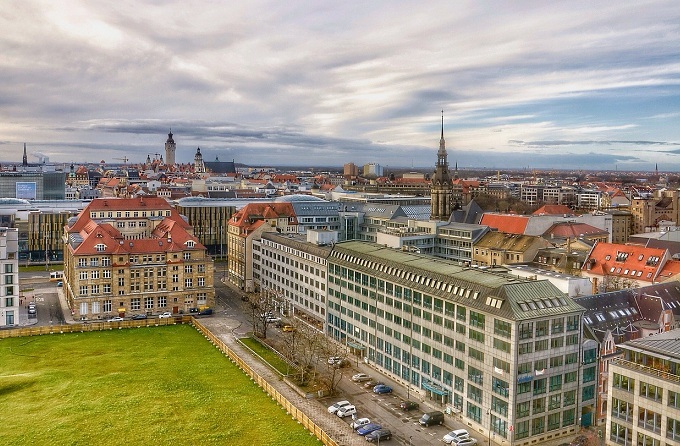 Leipzig used to be a significant banking, trade and industrial hub and in no time it became the center of heavy industries and manufacturing including textiles, automobiles and machines, chemical and electrical products. Nowadays Leipzig hosts some of the major industries in construction and engineering in Germany. Multinational companies that operate in Leipzig as Amazon, DHL, BMW and Porsche have definitely made life easier for its people; firstly they brought the cosmopolitan flair that makes business much more attractive and profitable and secondly by employing thousands of people and bringing food on their tables. Add to that the new roads, rail links and a redeveloped airport and you will have a magnets for investment. This economic development is one of the major reasons why population in Leipzig has increased by 10% over the past decade. Architecturally Leipzig is one place worth exploring, scientifically. As you walk through the city you will experience buildings of different eras standing tall holding the burden of history on their shoulders. The sight of historical building beautifully embroidered in the contemporary spirit of new and odd complexes creating this confusing feeling of losing grip of time. Reminiscent of baroque cope with Art nouveau together with all those pre and post war post-modernist creations. The tolerant spirit of the city has attracted scholars, artists, composers, musicians and poets alike. Art in Leipzig was promoted and treasured by its people; the commitment through the course of history to sponsor, appreciate and collect art, facilitate exhibiting famous pieces and attract fans in the international domain set foundations for its current position as the synonym of culture. Music is another flattering component to such an epitope. The great world praised composer Johan Sebastian Bach supposedly spent his most productive and creative years in the streets of Leipzig, just as many other famous names in the history of music that created the base of what we cherish today as quality music like Richard Wagner, Felix Mendelssohn Bartholdy, and Robert Schumann did. Thanks to these fellows, Leipzig’s musical and opera still nourish class and eminence. For those interested in literature, it suffices to name some of the greatest writers in the world history whom we quote to this day, Goethe, Schiller, Lessing or Nietzsche. Contemporary art comes in various forms in this city, in various venues and various trends. For those interested in a more expressive approach towards art LOFT is the venue for avant-garde experimental performances. For the children who are supposed to be the guardians of this cultural treasure, the Theater der Jungen Welt, the oldest German-language children’s and young person’s theatre stages impressive performances. It is no wonder why Leipzig is known as the city where creativity meets pleasure and intertwine into creating a vivid lifestyle. Enjoying life is one of the essential concerns in this city thus the variety of attractions. Whether it is a glamorous night at the opera, a classical concert or some controversial play at the theater, a relaxed night out to get wasted or some fancy dinner among colleagues enjoying the perks of exotic cuisines, in Leipzig everything is possible and more importantly fun. There are over 1.200 restaurants, pubs and bars around the city center inviting you to a different experience every time. For a more intimate environment mix in with the artsy crowds that gather in galleries or cultural centers, enjoy expensive wines and chit chat about the novelty’s in everything that surrounds us. Jazz bars would be the perfect venue for such an ambient. If you are more of a nature and sports lover there are infinite venues in Leipzig city center where you can find serenity: golf courses, lakes, rivers and canals. Shopping is another delightful experience in this city. Various stylishly decorated boutiques across the city center lure citizens and tourists to engage in a shopping spree for clothes, jewelry and antiquities. Fresh food markets spread the aroma all over the center inspiring the citizens of Leipzig for delicious recipes and healthy meals. Flea market on the other hand are a great opportunity to furnish students new apartments with decorations that bring a home-like flair to their study ambient. Living in Leipzig is very easy; you can reach any part of the town using excellent services offered public transport lines. Biking is another popular alternative both beneficial for you mental and physical health. Nightlife is pretty colorful with parties and events taking place all over town, open air concerts or clubbing in the basement of some old factory it all depends on your mood. Leipzig’s theater district brings together music, theatre, dance and entertainment reminding you of a genuine Parisian night tale. Leipzig was widely known to be the city of music and the cradle of Germans 18th century philosophy that we now know as the age of enlightenment. Studying in Leipzig thus is considered to be quite of a privilege, especially if your German skills improve to the level of getting to truly understand the concepts of famous German philosophers and artists. About over 30,000 STUDENTS currently attend the 14 departments at the University of Leipzig; among its alumni are such famous names as German Chancellor Angela Merkel, poet Goethe and philosopher Friedrich Nietzsche. The school is well-known for its expertise in natural science: Nobel Prize winners in the fields of physics and chemistry have taught here, and the psychology department is one of the most renowned in Germany. The work of artists from the New Leipzig School varies in content, style and quality, but the painters “share a technical skill, a devotion to figurative art and a predilection for dry-eyed, melancholy subject matter,” the New York Times wrote about the phenomenon. Founded in 1843, the University of Music and Theatre “Felix Mendelssohn Bartholdy” was the first music school in Germany. Students can enroll in artistic and teacher training in all orchestral instruments; classes teach piano chamber music, orchestral conducting, composition, jazz, pop, church music and more. In addition, the school’s drama department offers acting and dramaturgy courses. The programs lead to bachelors, masters, and doctorate degrees. Students at the HTKW can take courses in subjects ranging from engineering to the cultural sciences. This range mirrors Leipzig’s economic traditions and strengths in commerce, book publishing and printing and, more recently, in the media and services industries. The HTWK has built up an especially strong reputation in the areas of IT/communications, media technologies and construction — which covers quite a broad field, including civil engineering, architecture and industrial engineering. Living costs in this city are relatively lower than other German metropolises therefore it is estimated that students can survive on a modest budget. Depending on the life you choose to lead in Leipzig you can most definitely live decently with an income of 1000 euros per month including rent and utilities. Students in Leipzig aren’t required to pay any tuition fees regardless of their origin, however every student is bound to pay an overall amount of 193.5 euros as a semester contribution attributed to student services and a free pass to public transportation. Newly enrolled students pay an addition sum of 10 euros for their student Id once they start Uni. 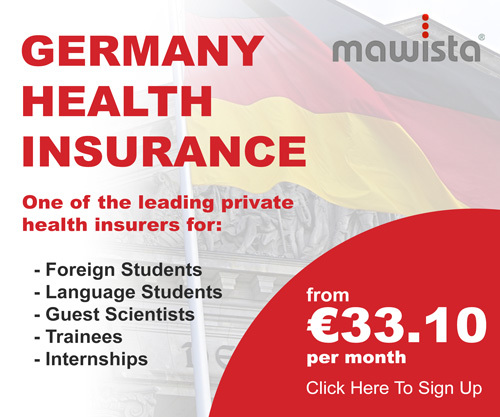 Another mandatory fee student have to pay is health insurance costs which come to around 50-80 euros per year. Accommodation depends widely on the student preferences and their yearly budget. Private accommodation is always more costly than living in the dorms yet most international students prefer it this way. A single bedroom apartment in the city center comes across 400 euros monthly meanwhile outside the center you can find it cheaper for 250-300 euros. Most of the student cannot afford an apartment on their own so they share it with other flat mates. A three – room apartment in the center costs around 900 euros meanwhile out of the center it’s cheaper; you can get an apartment for 550 euros. Utilities are estimated to go around 200 euros for a bigger apartment including basics, electricity, heating, garbage and water. Eating outside can be costly if you frequent high end restaurants but there are several budget eat joints around the city which students usually prefer. Eating in can spare you a lot of money but it might cost you more time which as a student you usually don’t have. A local beer at the bar costs over 4 euros meanwhile at the market you can get it for less than 1 euro. A pack of cigarettes cost around 5 euros. Fitness membership in Leipzig costs from 30-40 euros monthly. A ticket at the cinema for international movies is 8 euros. Clothing items depend on preferences and budget; there are some really cool stuff you can buy in chain stores for less money and there are fancy expensive brands that cost a fortune. Try out the luscious beans in the oldest coffee retailer in town, in Arko. Book a city, walking and riding tour to get an idea with Leipzig Erleben. Walk by the Leipzig Book Fair, you will be stunned. If you like satirical drawings Karicartoon Leipzig is your next destination. It is a sacrilege not to attend the Bach festival. At Ludothek, every last Saturday of the month it’s Leipzig Games Night. Bierborse is Leipzig’s very own Octoberfest. Enjoy the beer and the fun. Christmas Market is something to look forward to, as in every other German city. Bagel Brothers is going to be your future breakfast stop and never bore you. Distillery, a promising club with superb international DJs.